For four Alpha Sigma Nu student members, the Ignatian Family Teach-In for Justice will be an important and defining moment in thier college careers. 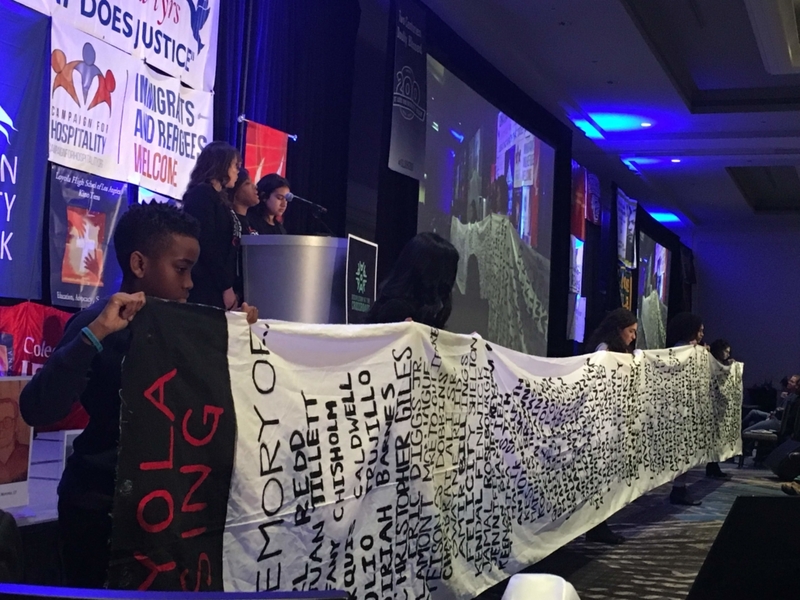 Ignatian Solidarity Network describes the Teach-In, which took place November 3-5, 2018, in Washington, DC, in this article. The piece describes the event this way, "Attendees were invited to travel the “crisscrossed roads” of family life, education, institutional Church, and local and global community life. These themes were transposed with the lived realities of injustices related to immigration, the U.S. criminal justice system, race, gender, sexuality, environmental degradation, and gun violence." 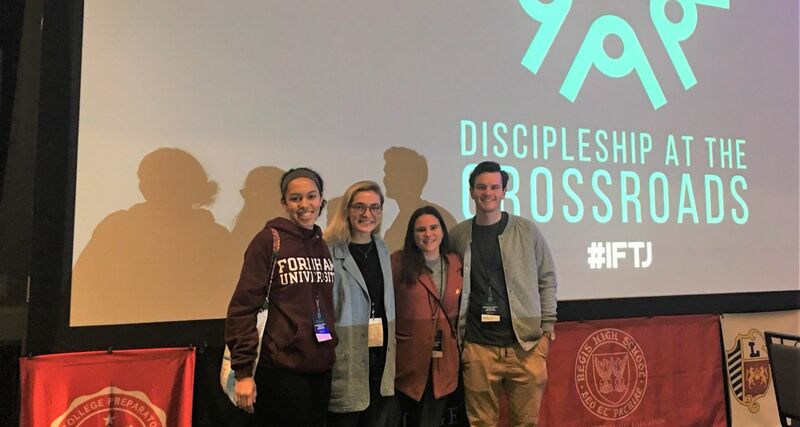 Thanks to the Seelos Grant, Alpha Sigma Nu student members Isabel Wallace-Green (Fordham `18), Kathleen Hannick (Seattle U `18), Jordan Henderson (Loyola Chicago `17), and Lucia Presencio Ortiz (Loyola Andalucia `17) all had the opportunity to hear the speakers in person, experience the energy of so many Jesuit-educated students and alumni gathering for Justice, advocate on Capitol Hill, and return to their campuses and ASN chapters inspired by this energy. To experience a little of the transformational energy they encountered, watch videos of the IFTJ speakers here.